In the 20 or some odd years that Minh Le has been working on FPS games, he’s seen a lot of changes to the genre. And as one of the co-founders of the original Counter-Strike mod for Half-Life, he knows a thing or two about changing games. We had a chance to catch up with Le at this year’s GDC for an exclusive interview to get his insight on the modern world of FPS game design. During our conversation, we delved into what Le felt was the biggest innovation in competitive multiplayer games over the last two decades. It turns out that he’s a big fan of matchmaking systems. Many of us who grew up in the era of searching through lists of servers for open slots that we could join and mediocre match-ups would most likely agree. Since then though matchmaking has brought balance to online competition by pairing players of similar skill levels together for a more all-around enjoyable gaming experience. “When players are equally matched against other players of their same skill level it minimizes the effect of them getting beat so bad that they don’t wanna play anymore,” said Le during the interview. While in conversation, Le and our own Asif Khan reflected on that bygone era and why modern matchmaking makes so much sense. 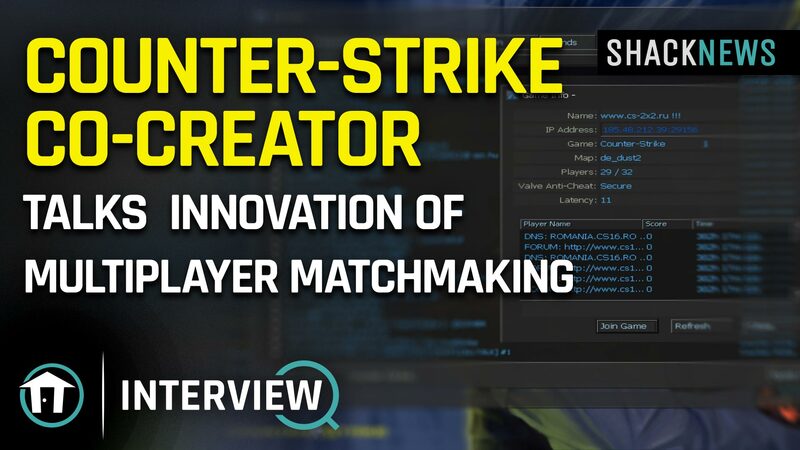 You can check out the excerpt video from our full interview below for all of our insights on matchmaking. Currently, Minh Le is working with Pearl Abyss on an as-yet-unannounced project, which we should hopefully get some details on very soon. Be sure to check out our full interview for more of Le’s insights into game design, the history of competitive online gaming, and the current state of esports. We’ve also got a ton of other interviews and gameplay demos from last week’s GDC 2019 for your viewing pleasure. And be sure to check out all the vids on our GamerhubTV and Shacknews Youtube channels. Thanks again to Minh Le and Pearl Abyss for the in-depth conversation. I'll have to listen to the interview, but the thing thing matchmaking takes away from for me is finding that server or a few servers that I would call home and get to know the people on. 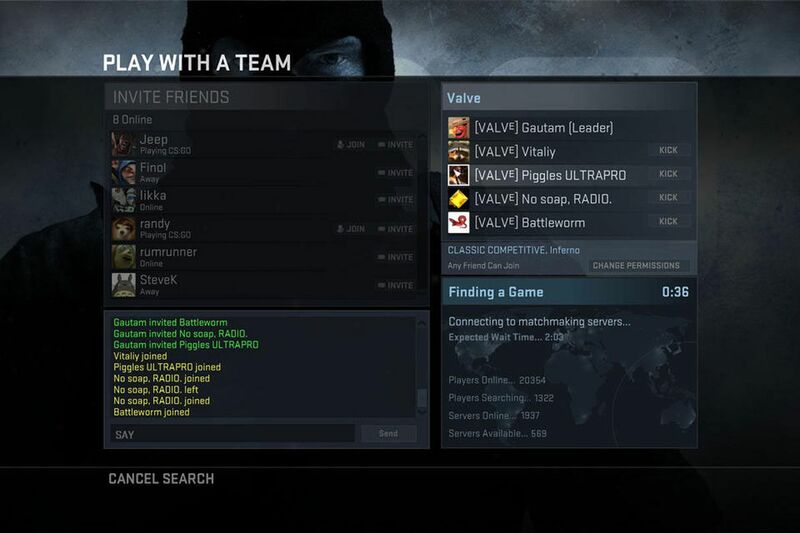 Back when CS launched I made a lot of friends from local servers, formed clans with them, went to LANs with them and if it weren't for the fact that I had to go find a server I had a great connection to I would have missed out of a lot of great times. Yeah I really miss this a lot. Nobody does it anymore. I wish games would have both like TF2 does IIRC. It won't though since dedicated community-run servers have just about ceased to exist. Not to mention if it's skill based as you move up or down in ranks you stop playing with the same people eventually because matchmaking moves everyone around. It's just different times now with consoles being as popular as they are and needing a system that works there and on PC. this is the same as playing a game in person though. If I play pickup basketball with friends for years there may come a time where I outpace their development. Now I can choose to keep playing with them for fun but now I may also/instead want to start playing with another group of people that are able to test my new skill level. that's where separate play lists are needed with one based on region and one based on skill, which isn't always available in games. I had the most fun with l4d2 once the community shrank enough that I kept running into the same people constantly. Good interview. Love his answers and I find that I pretty much agree with everything there. Thanks, the full 35 minute interview will be up on the site soon.